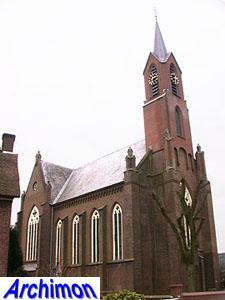 Arnoldus van Veggel, born in Alem on January the 11th 1809 as the son of an innkeeper. 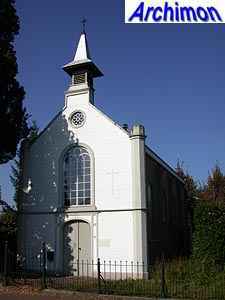 Van Veggel was a carpenter by profession and became an overseer during the construction of a church in Helvoirt, Noord-Brabant. From that moment on he was especially active in that province, although there are several works outside Noord-Brabant as well, of which the estate De Schaffelaar in Barneveld (G) is probably the most important. 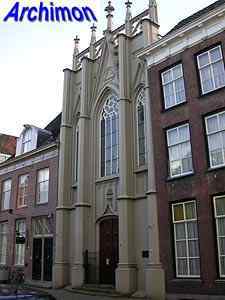 Van Veggel was probably a catholic himself, but he designed churches for both catholics and protestants. He worked in both neo-Classical and early neo-Gothic styles. 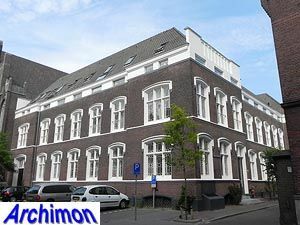 Van Veggel died in 's-Hertogenbosch in on December the 2nd 1876. The following is a list of his work for as far as known. It is probably incomplete. Church in neo-Classical style with octagonal dome. Demolished in ca. 1905. Catholic church in neo-classical style. Catholic church in neo-Classical style. Probably by Van Veggel. Church in early neo-Gothic style. Plaster vaults and ornaments. Now a Lutheran church. 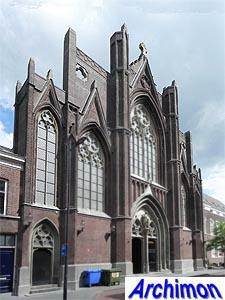 Centralizing church in early neo-Gothic style. Now an office. 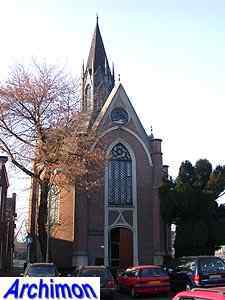 The design was probably influenced by that of the Zuiderkerk in Rotterdam. 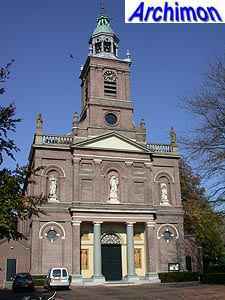 Small aisleless church in neo-Classical style. Ornaments in neo-Gothic style, copied from the St. Jan cathedral in 's-Hertogenbosch, combined with some Romanesque influences. Estate in early neo-Gothic style. 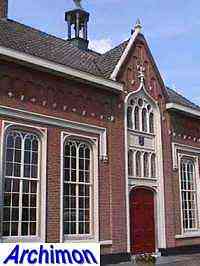 Monastery in neo-Classical style, with early neo-Gothic details. Catholic church in neo-Gothic style. Facade symplified in 1948-1949 by A. Rats. Now a restaurant. Church in Neo-Gothic style, with Gothic tower. Church destroyed by fire in 1895. Cruciform aiseless church in neo-Gothic style.